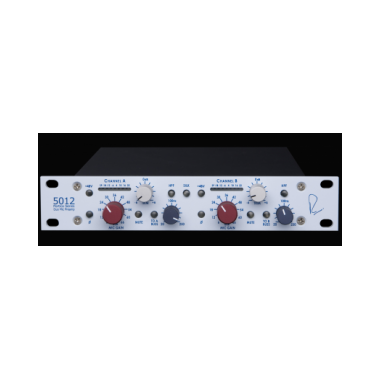 The Portico 5012 is a dual channel mic pre featuring Rupert Neve’s custom input and output transformer designs. 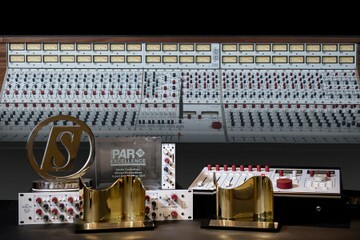 In addition to individually selectable phase, mute, phantom power and a fully sweepable high pass filter, the 5012 incorporates a "Silk" circuit which yields the rich warmth and presence of his renowned classics. The microphone input is balanced but not floating, being a variant of an instrumentation amplifer using a "Transformer-Like-Amplifier" (T.L.A.) configuration with a toroidal Common Mode Rejection Low Pass Filter that excludes frequencies above 150 kHz. The T.L.A. is followed by an actual input transformer permitting a full +25 dBu input signal to be handled at unity gain without an input pad over the whole audio spectrum. 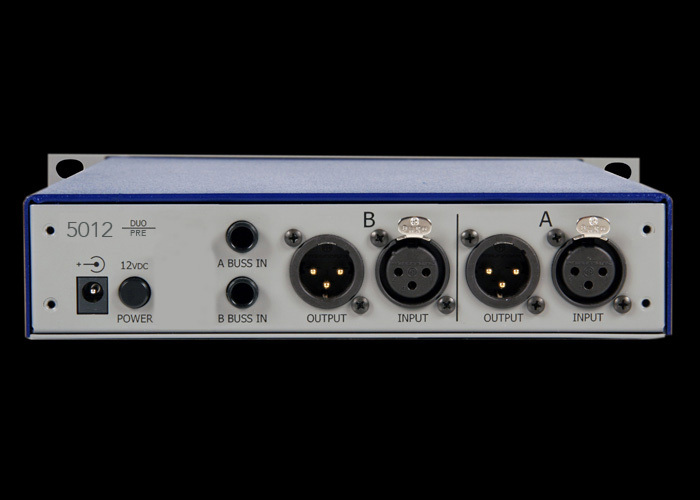 This combines the advantages of both an "Electronically Balanced" and true transformer input. 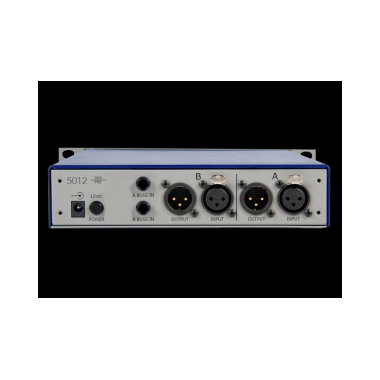 When the Phantom voltage is switched off, this input serves as a very high quality line input with an impedance of 10K Ohms. Much care was given in designing the 5012 to produce as little noise and non-harmonic distortion as possible. Carefully implemented signal paths and Class A operation are a large part of the 5012′s sweet, whisper-quiet performance. All Portico modules use input and output transformers and almost entirely discrete component amplifiers. 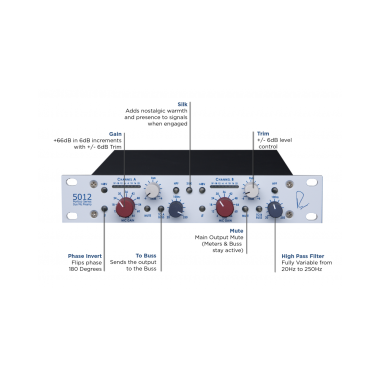 In fact, the Line amplifiers on their own, inserted into the signal chain, are capable of enhancing the sonic quality of many signal sources, especially those of digital origin. These are some of the factors that enable the Portico 5012 to work so unobtrusively within the context of a very high quality audio chain. The fine subtleties of circuit design relating to sonic performance are gradually becoming more clearly understood. For example, research has shown conclusively that frequencies above 20kHz affect the way in which humans perceive sound quality. But long before scientific evidence emerged, a substantial body of musicians and engineers knew that equipment with apparently the same technical measurements could sound very different. Incredibly small amounts of musically dissonant odd harmonics can have a disastrous effect on the sound quality. Extraneous noise or interference that finds its way into a signal path seriously impairs performance of the whole chain. Since many control rooms make use of outboard gear that is not well protected from external signals, poor grounding of such equipment can be a serious problem. “Electronically balanced” circuits, much-used in modern equipment, can give very good measurements on the test bench but they do not provide adequate rejection of the stray fields found in every working environment. To correct these issues, input and output circuits must be freed from ground dependence so that only the wanted signal enters and leaves the processing path. Transformers are the ideal solution. The sweet and silky sound of Mr. Neve’s classic designs was achieved with big transistors and large high quality transformers. 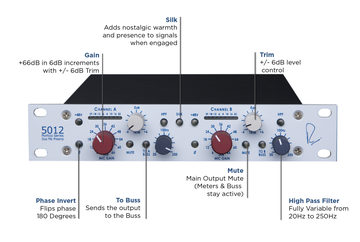 Rupert Neve Designs’ Portico modules achieve similar quality today without the bulk or the cost. In order for modules to work together as would be expected (i.e. in a proprietary console configuration) without producing hum, R.F. interference, or other interactions, the connecting interfaces, grounding, levels and impedances must receive careful attention. Each Portico module is a complete integral signal processor that delivers its specified performance independently. This is one reason why we use transformers. from 20 Hz to 20 kHz, +25 dBu. As one of the foremost pioneers in recording technology, the sound of Mr. Rupert Neve’s designs have guided the lathe of countless records in almost every conceivable genre. With 80+ years of design experience, Rupert’s story spans the globe; from growing up in Argentina before WWII, to creating the first "modern" recording consoles in England, to elevating analogue circuit design for the digital world in Texas.